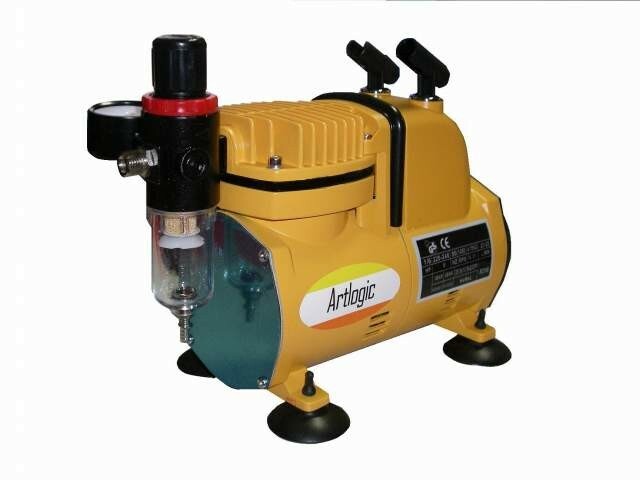 This compressor features a retractable carry handle and two airbrush holders which are fully adjustable 360 degrees. The mini compressor is quiet and convenient for most applications including Spraying models, airbrush art, nail airbrushing and more. It's compact and lightweight (weighs under 4kg) and is designed for portability. Ideal for the home, office, hobby workshop, air brushing, air dusting.